With the start of hurricane season just a day away, there is a 75-percent chance that the 2018 Atlantic hurricane season will be near- or above-normal, according to a new report released by the National Oceanic and Atmospheric Administration's Climate Prediction Center. 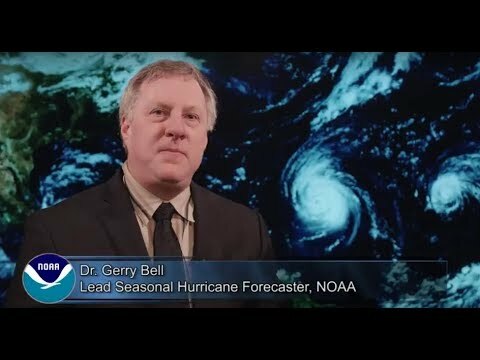 Forecasters predict a 35 percent chance of an above-normal season, a 40 percent chance of a near-normal season, and a 25 percent chance of a below-normal season for the upcoming hurricane season, which runs from June 1 to November 30. The possibility of a weak El Nino developing, along with near-average sea surface temperatures across the tropical Atlantic Ocean and the Caribbean Sea, are two of the factors driving this outlook. These factors are set upon a backdrop of atmospheric and oceanic conditions that are conducive to hurricane development and have been producing stronger Atlantic hurricane seasons since 1995. In addition to the Atlantic hurricane season outlook, NOAA also issued seasonal hurricane outlooks for the eastern and central Pacific basins. An 80 percent chance of a near- or above-normal season is predicted for both the eastern and central Pacific regions. NOAA will update the 2018 Atlantic seasonal outlook in early August, just prior to the peak of the season.